The Green Gown Awards UK & Ireland offer unique brand integrity and recognition to senior management in the post-16 education sector. 2018 sees the Awards enter their 14th year - what better time to link your brand to sustainability excellence! The ethos of the Green Gown Awards is to ensure the lessons and examples of best practice are shared within the sector and beyond. The case studies - featuring category sponsor logos - and video resources which all finalists are asked to create, reconfirm the strength in the Green Gown Awards UK & Ireland - to inspire excellence, enhance collaboration and to encourage replication of these award winning sustainability projects. Our aim is to promote these exemplar projects as far and wide as possible, working with our strategic partners and media partners to encourage further uptake of Award applications, project replications as well as promotional opportunities for sponsors. Have a look at our resources. For full details and to find out more about these exciting opportunities to support the Awards please view the sponsorship opportunities document above (also available below). 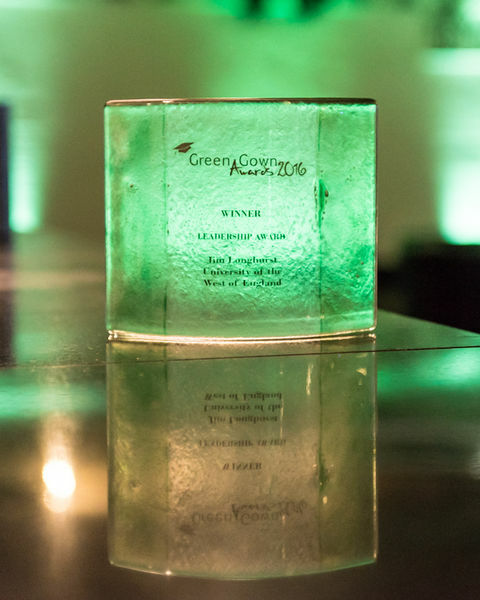 EAUC Company Members receive an exclusive discount to take advantage of the various sponsorship packages for the most prestigious recognition of best practice within the post-16 education sector: the Green Gown Awards UK & Ireland.